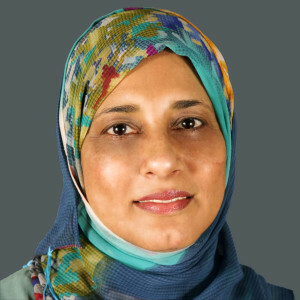 Dr Ahmed is an experienced researcher, clinician and clinical microbiologist and has been responsible for overseeing Setshaba Research Centre as the site Director and Principal Investigator (PI) since 2004. She has conducted large-scale efficacy and safety studies for many microbicide and PrEP regimens with international sponsors (Population Council, FHI360, and Conrad etc) and continues to work in the field of HIV prevention research both in clinical trials and socio behavioral studies. Her portfolio also extends to other vaccine trials (TB, HPV, Meningococcal etc), as well as TB diagnostics and treatment studies. Dr Ahmed ensures that trials with good quality data are conducted according to the sponsor, protocol, International Conference of Harmonization (ICH) and Good Clinical Practice (GCP) requirements. There is utmost importance and focus on ethical standards and participant safety and well-being. She has conducted trials with several pharmaceutical companies. She is a strong motivator and manages the staff well. She mentors the junior investigators in the field of research and also post graduate students in the field of science.